Relax in a truly indulgent scented bath with this handmade organic bath soak from Conscious Skincare. The carefully selected oils will nourish your skin, soothe your muscles and help you to distress after a long day. Perfect for all skin types. Tested on humans, not animals and free from parabens and SLS. The Conscious Skincare Bath Soak - 250ml product ethics are indicated below. To learn more about these product ethics and to see related products, follow the links below. 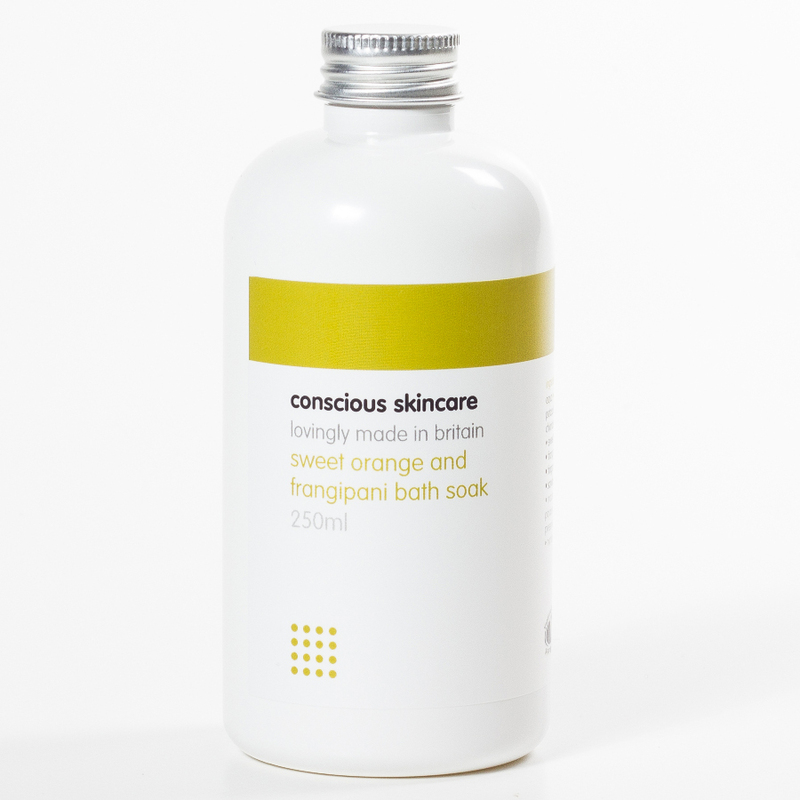 There are currently no questions to display about Conscious Skincare Bath Soak - 250ml. Conscious Skincare’s founder, Rebecca Martin, has loved caring for her skin since she was 13, and as she grew older wanted to create a natural skincare range that gave skin the natural nourishment it deserved. 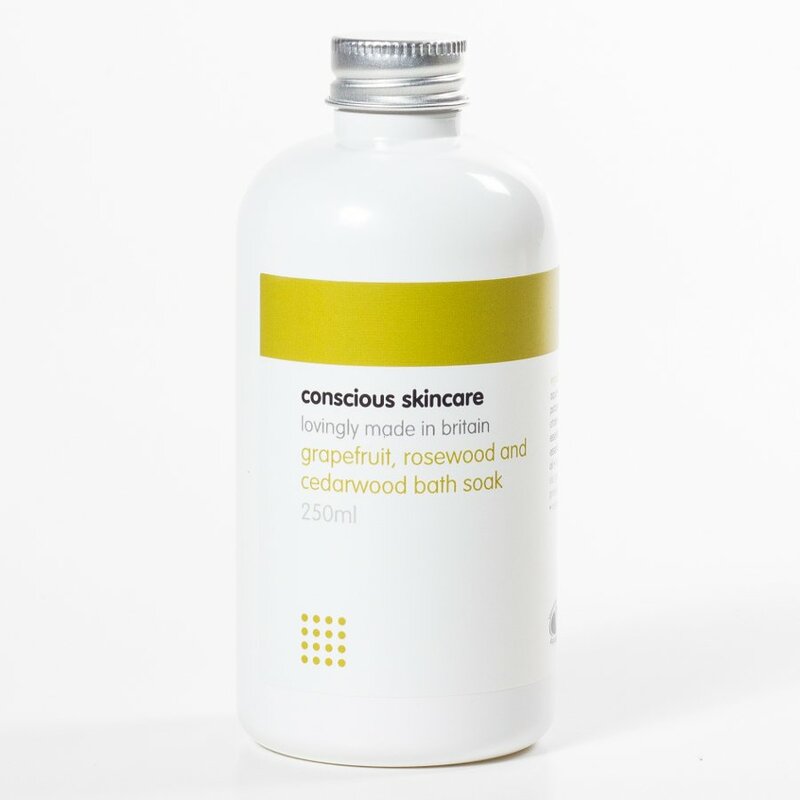 Thus Conscious Skincare was born, a brand that is dedicated to providing organic skin care products from their rural retreat in Wales, hand blending the natural ingredients to ensure the end result is of the highest quality. Conscious Skincare refrains from using any synthetic ingredients in its products, so it boasts paraben and SLS free skin care that is not tested on animals. But Conscious Skincare is even more ethical than that, as well as using natural and organic ingredients; they are always aware of the environment and try to use recycled or recyclable materials where possible, such as glass, aluminium and paper for its packaging. It is also a truly energy efficient company, using solar technology to generate the electricity it uses and to heat its water.